It’s hard to find the perfect getaway. Maybe one person is looking for a few days of laid-back fishing, while the other wants a wildlife cruise. Perhaps one person’s definition of relaxation is reading all day, sipping wine at night and practicing yoga every morning, and the other’s is a week packed full of kayaking and stand up paddleboarding adventures. Orca Island Cabins is the perfect destination for every odd couple – especially those whose interests vary in their levels of adventurousness. For every adventurous activity on the island, we have a decidedly non-adventurous counterpart available. This wide range of activities is perfect for couples who have different interests, or are excited to spend some time trying the things their partner loves to do, while still getting to enjoy their own favorite hobbies. We’re well equipped for groups with different vacation priorities and even families with hard-to-please teens. 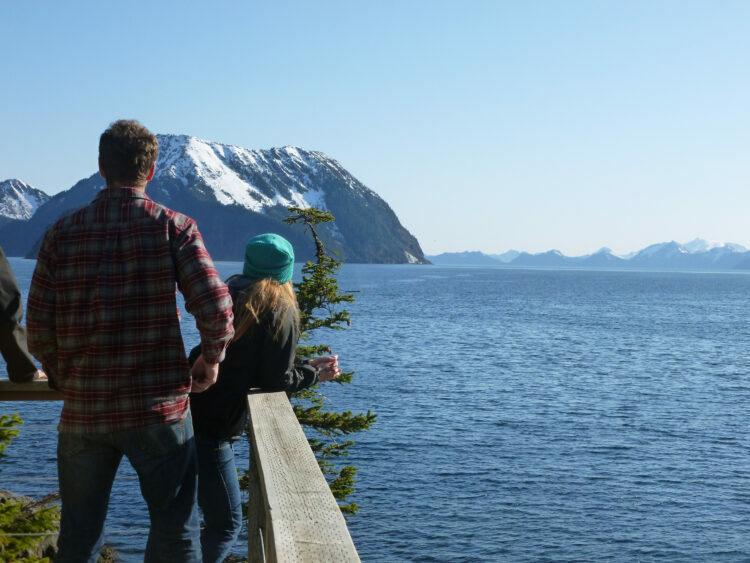 The art buff can peruse our gallery or paint on the open-air deck overlooking Resurrection Bay while the avid hiker can explore a trail to a waterfall in Humpy Cove. The home chef can prepare gourmet meals in their yurt’s fully-equipped, private kitchen and the wildlife watcher will have no shortage of things to see. Whether you fall into just a few of these categories, or all of them, a trip to Orca Island Cabins has something for everyone.